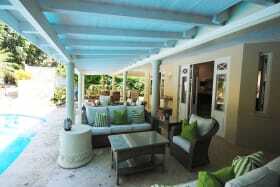 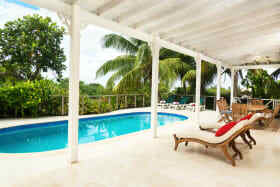 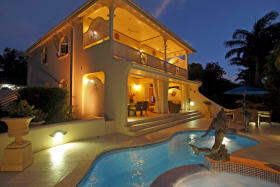 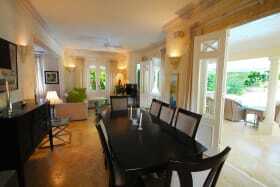 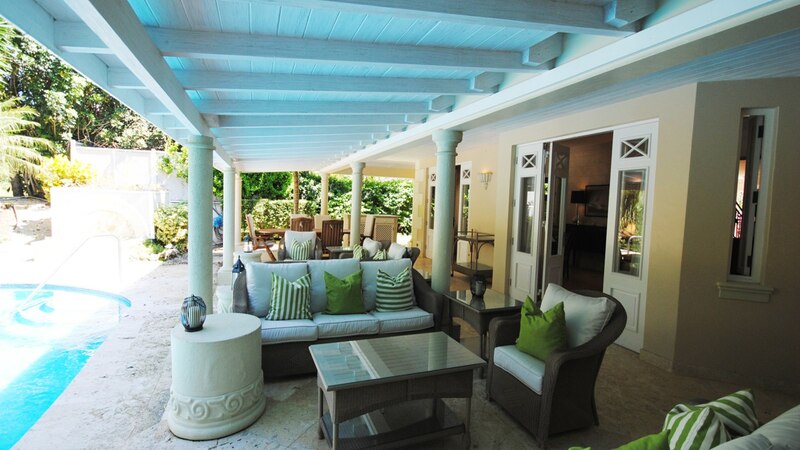 Spacious covered veranda opens to the swimming pool terrace. 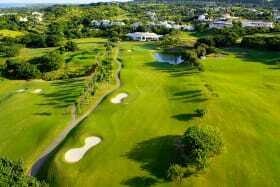 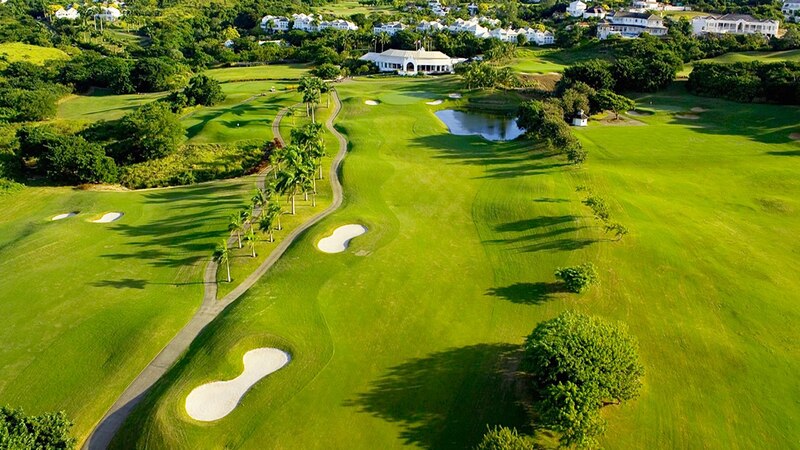 All the amenities at Royal Westmoreland besides world class golf -tennis, restaurant, bar and beach club. 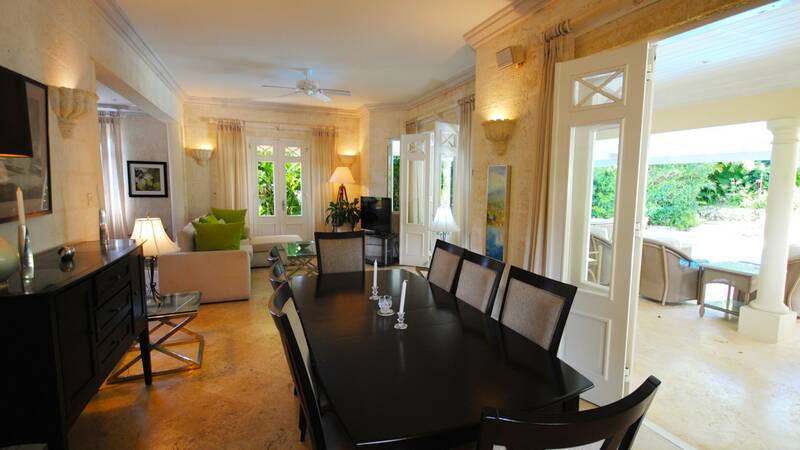 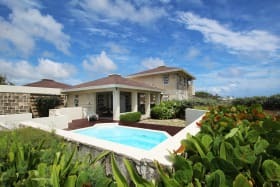 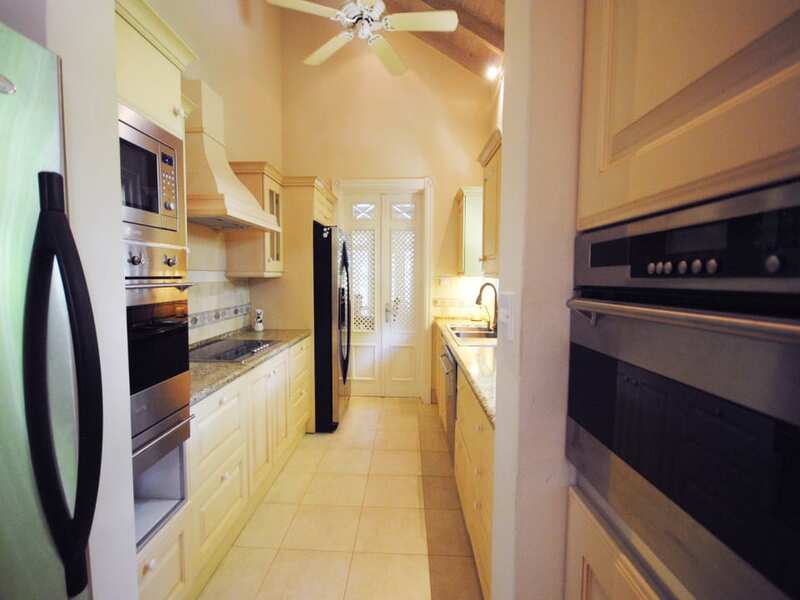 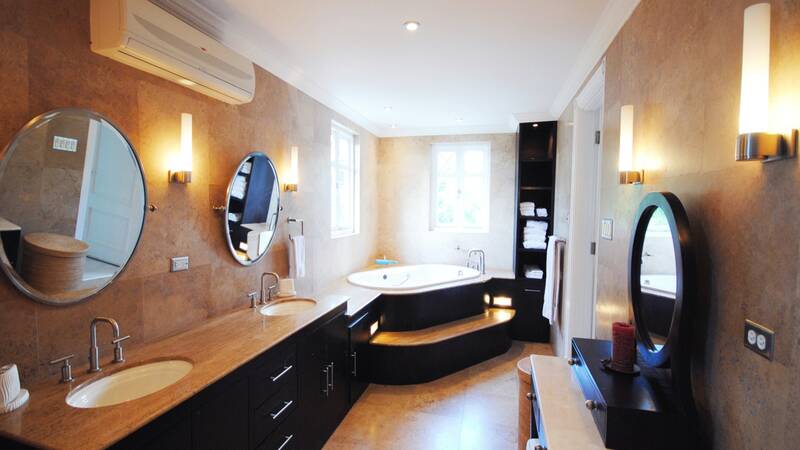 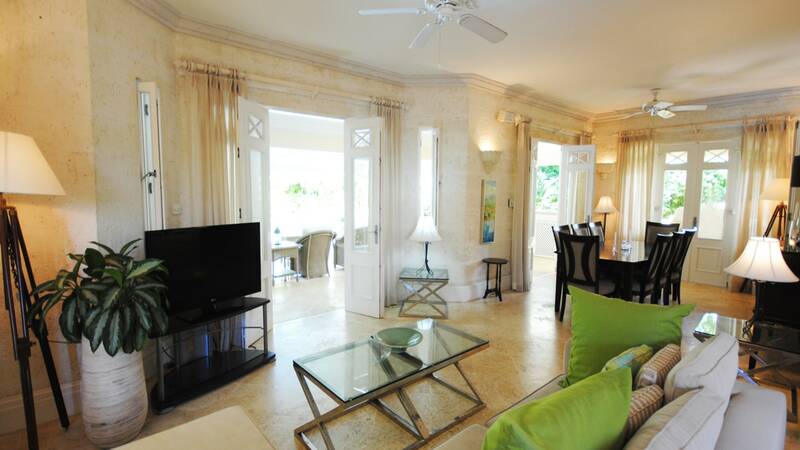 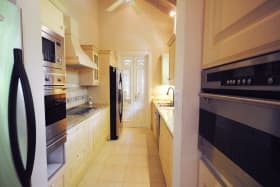 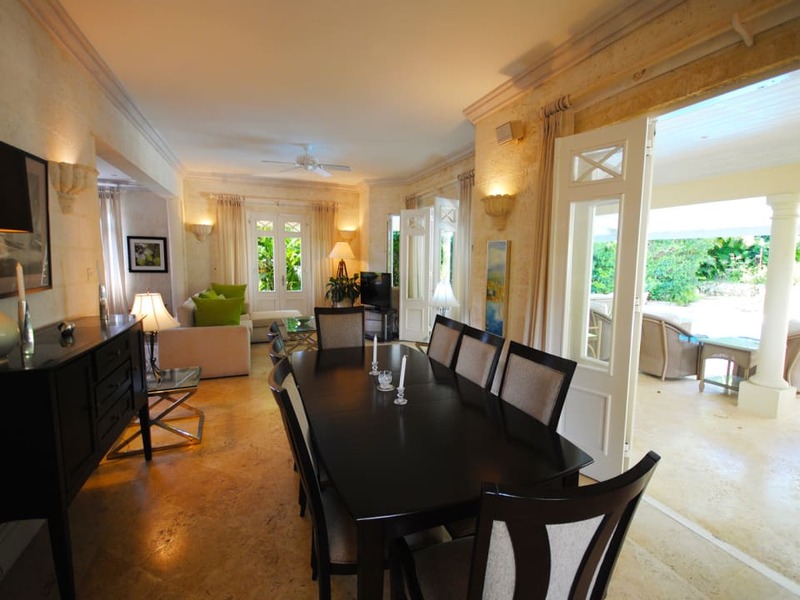 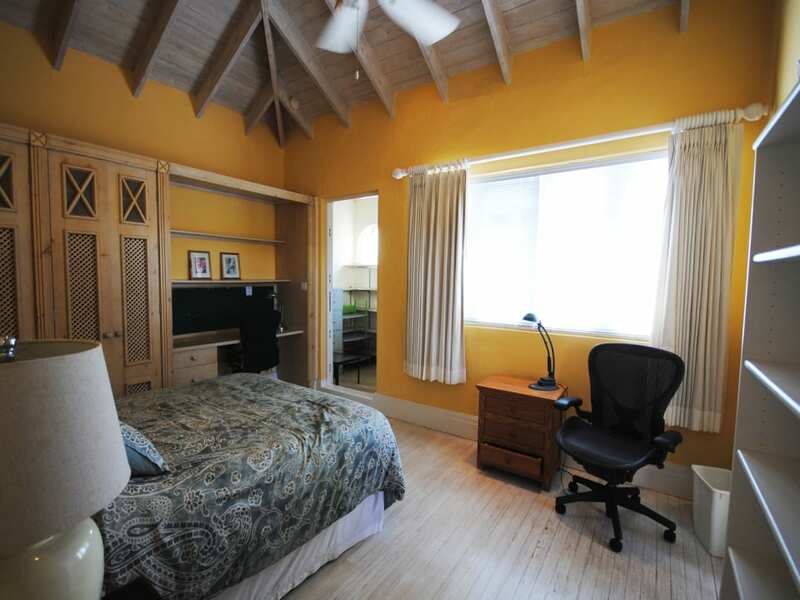 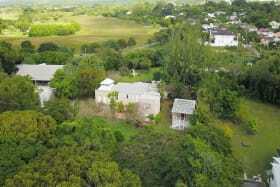 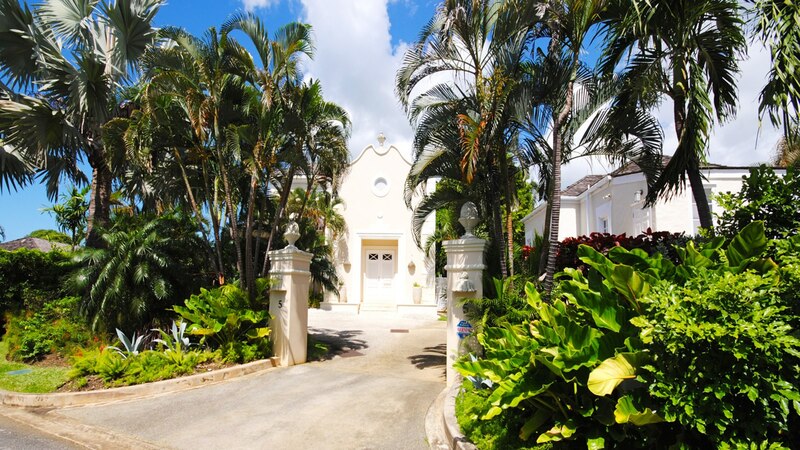 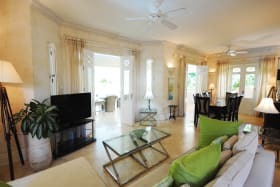 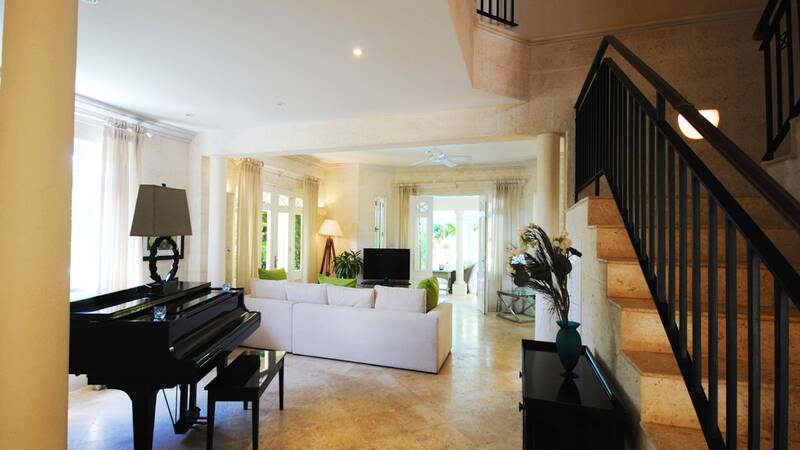 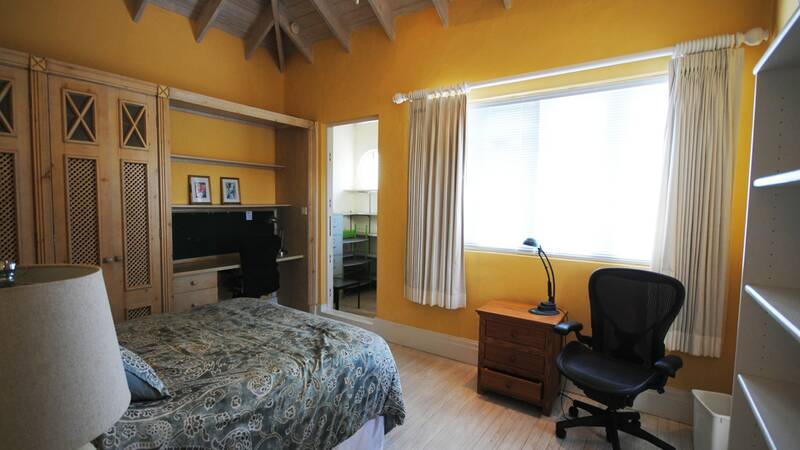 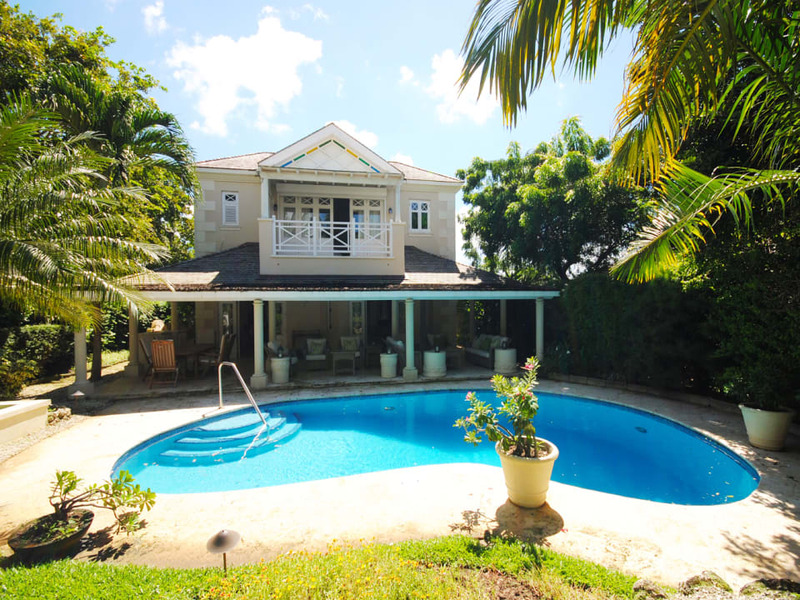 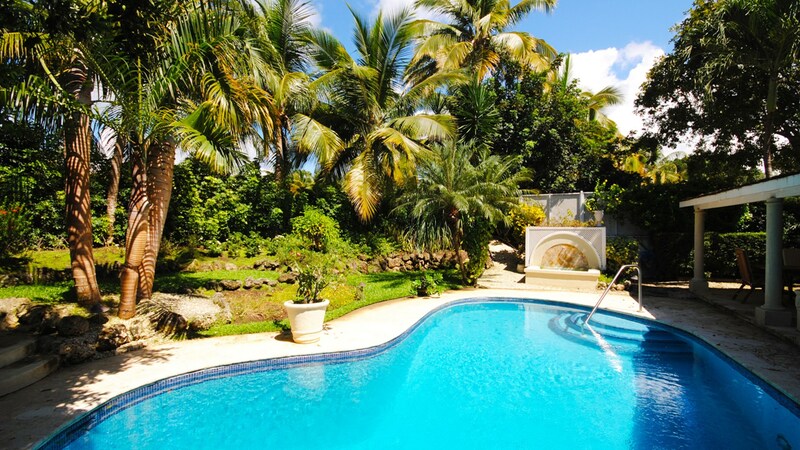 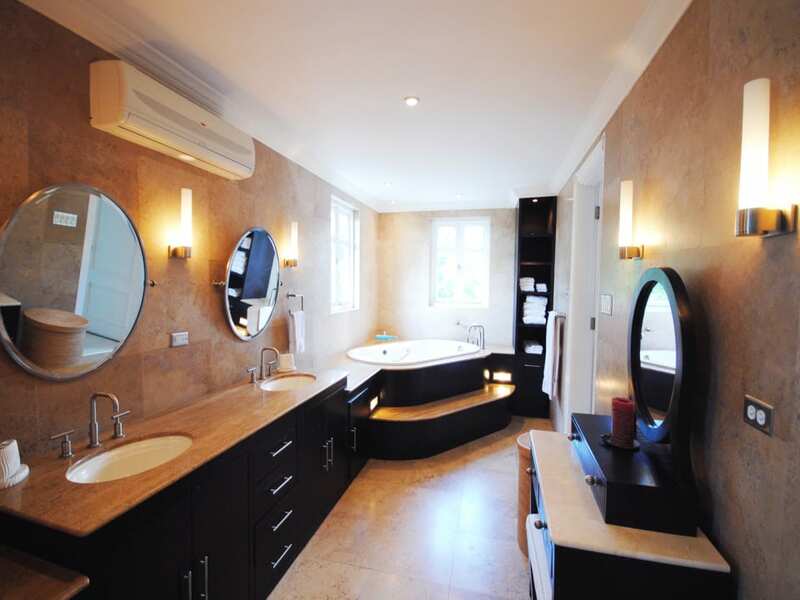 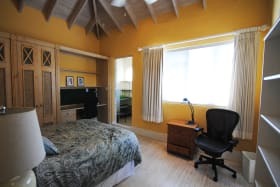 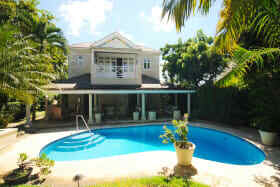 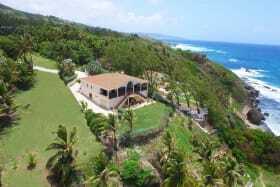 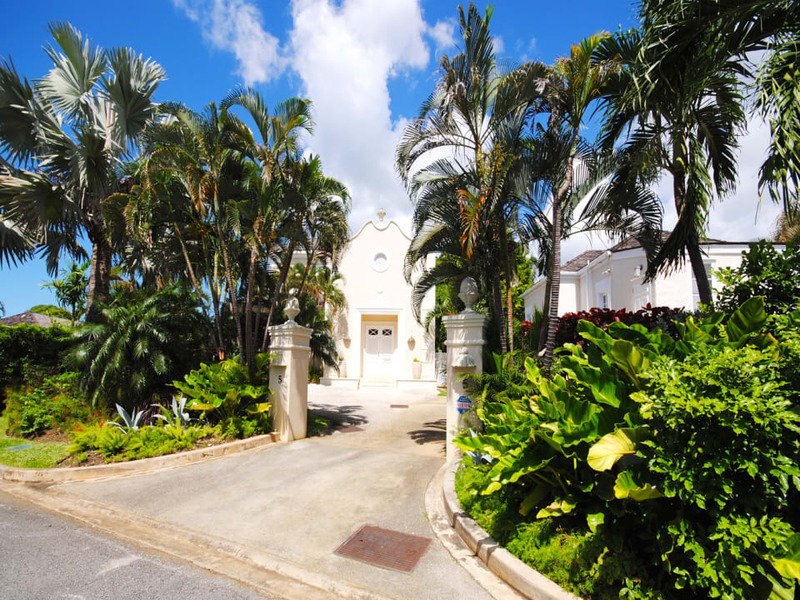 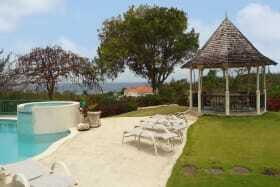 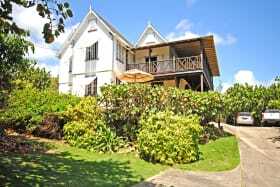 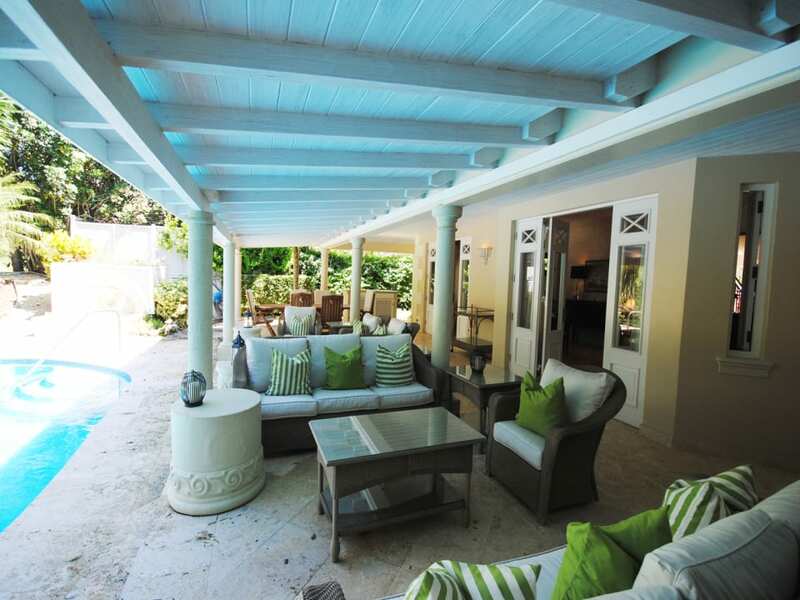 A beautifully renovated and well-maintained 3-bedroom luxury home set within the heart of the prestigious Royal Westmoreland Golf Club. 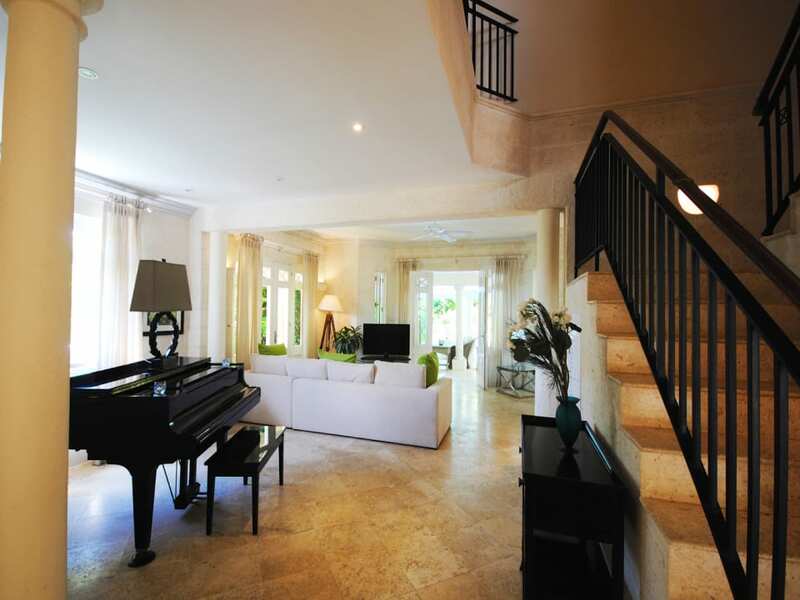 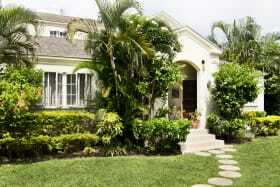 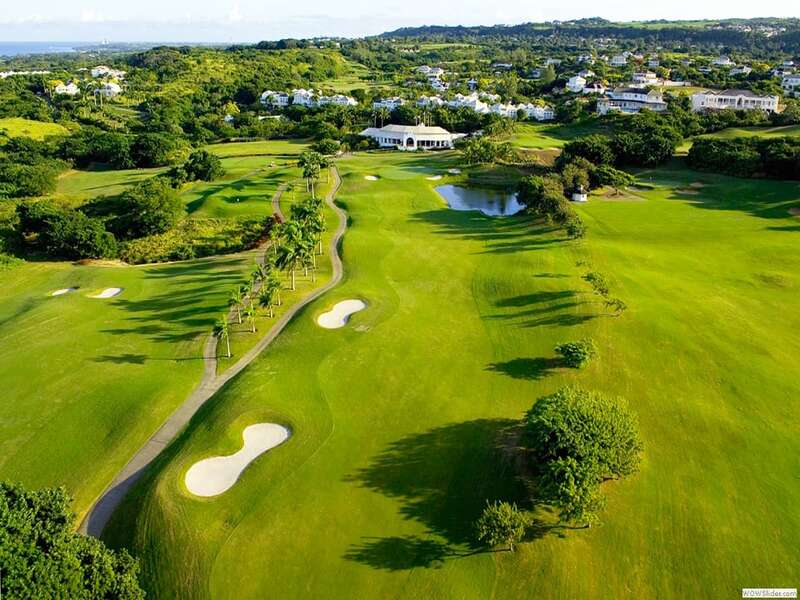 Coconut Grove 5 overlooks the fairway and is only a 5- minute walk to the clubhouse. 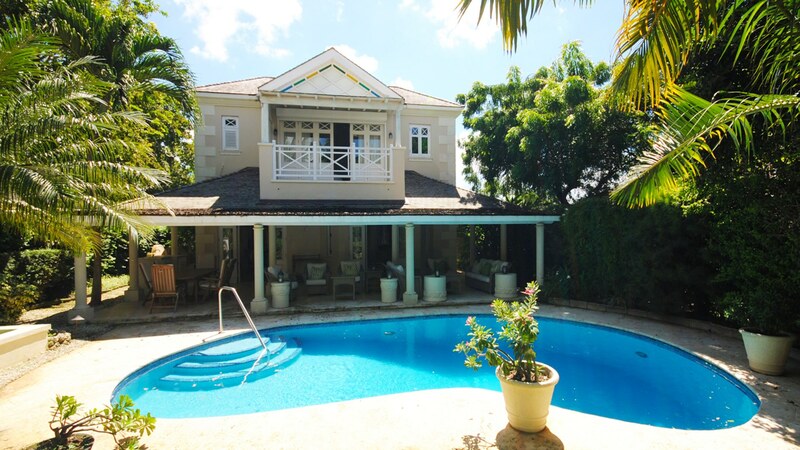 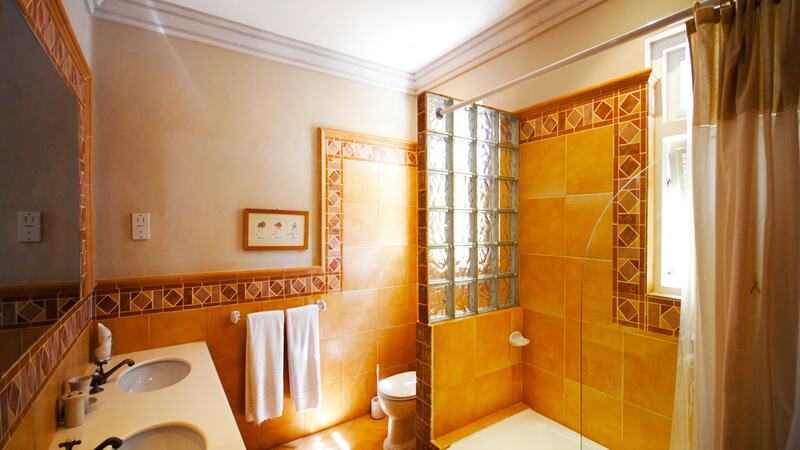 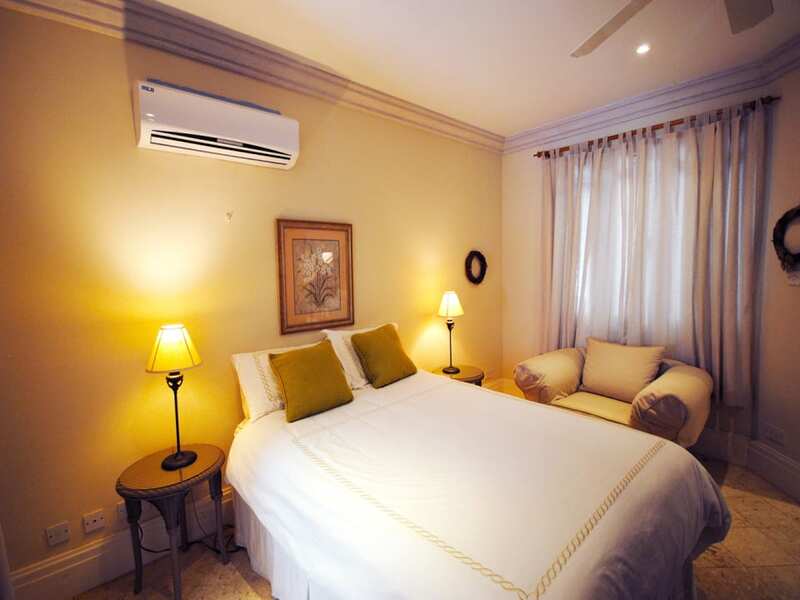 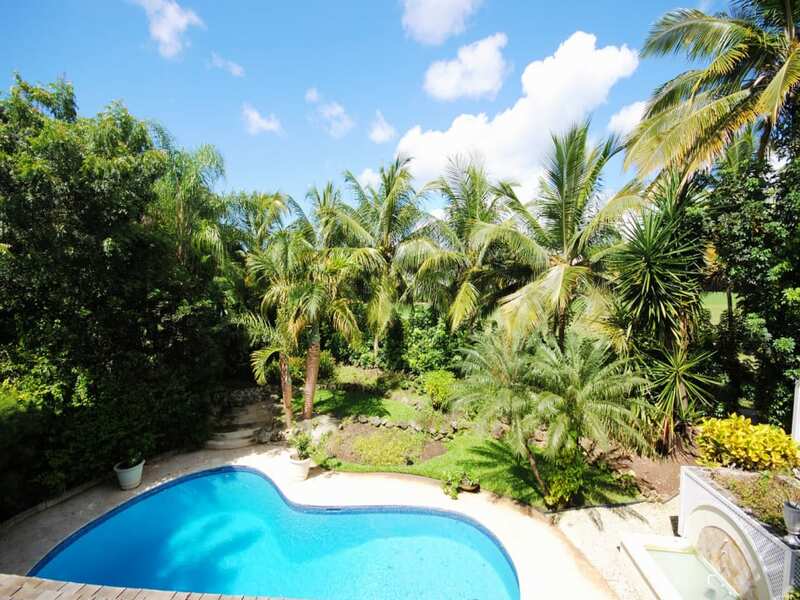 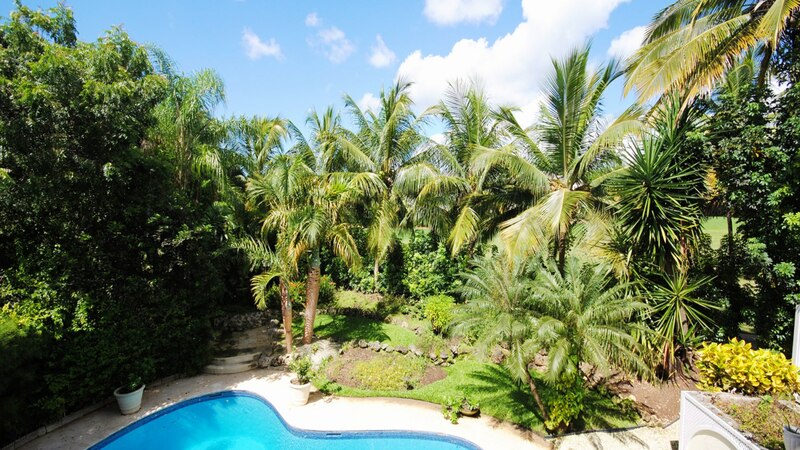 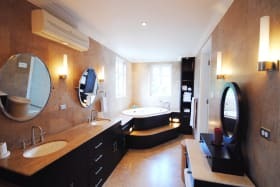 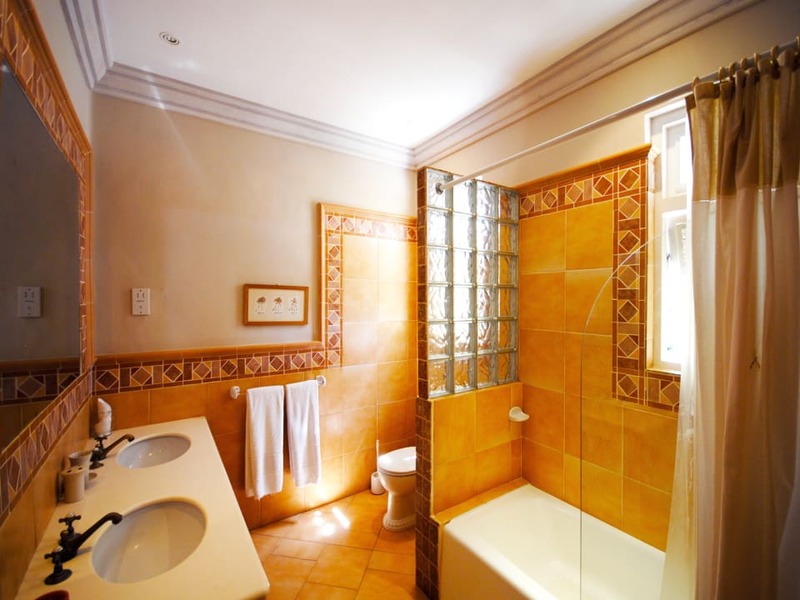 The home offers an en suite guest bedroom on the ground floor with a large living room that flows onto a spacious outdoor covered patio and the swimming pool terrace. 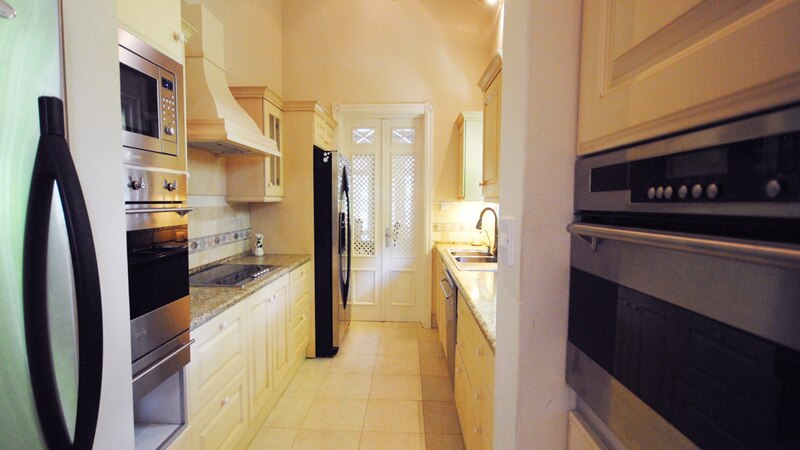 The galley style kitchen is fully equipped. 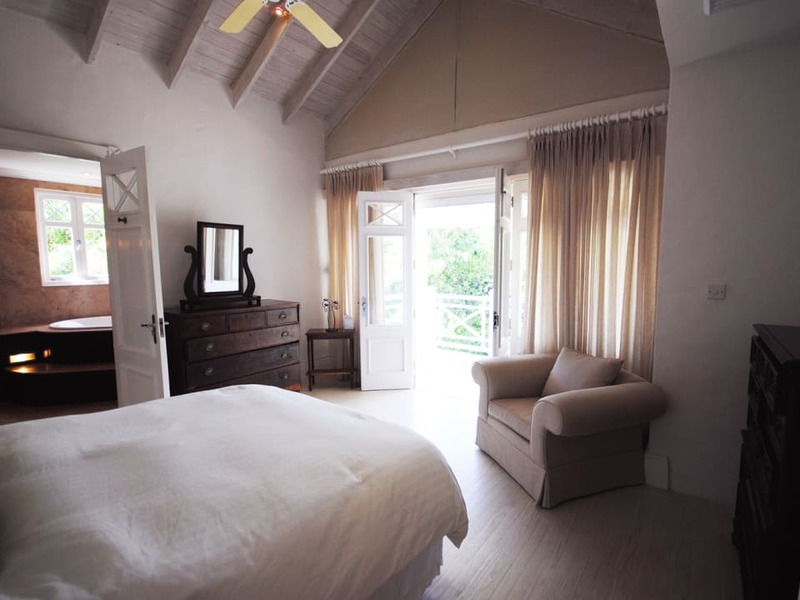 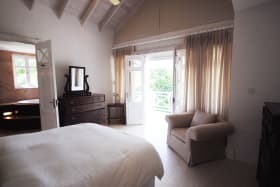 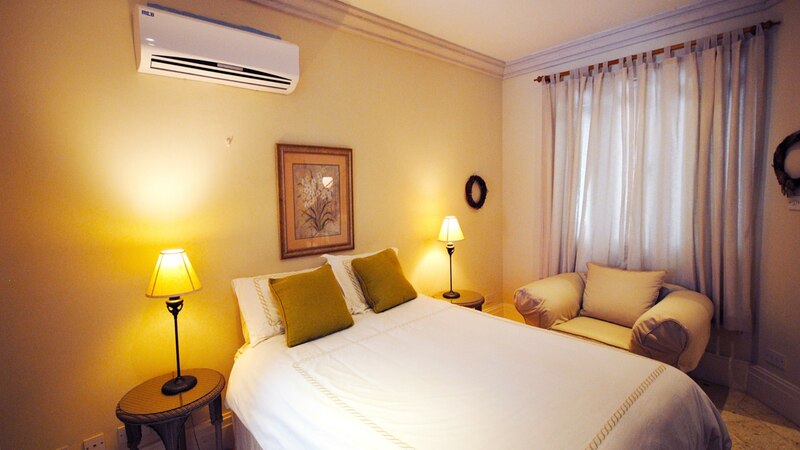 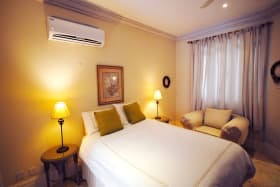 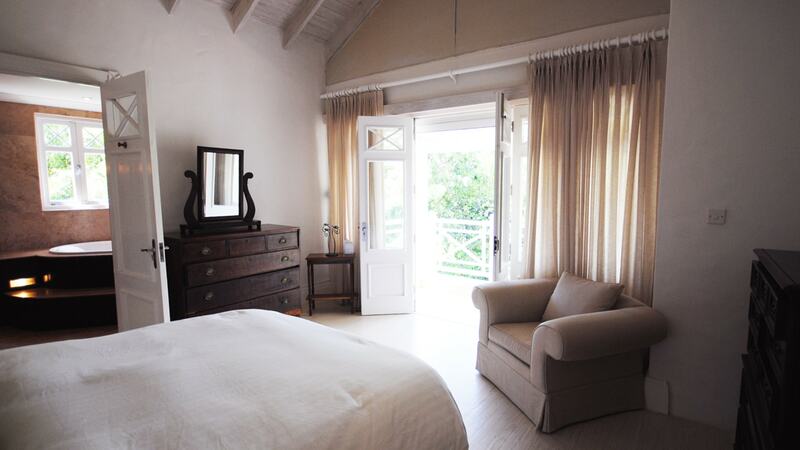 The master bedroom features a large en suite and spacious walk-in closet with a covered balcony overlooking the fairway. 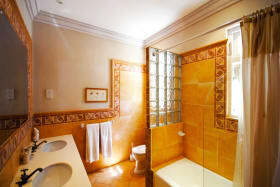 The third guest suite is currently being used as an office. 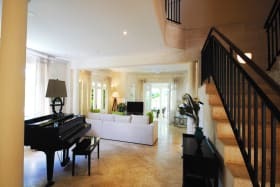 Most of the furniture is included in the sale, with the exception of the piano and personal items. 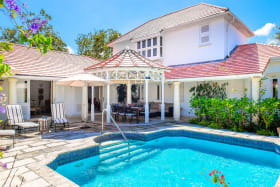 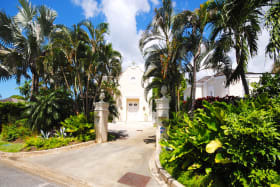 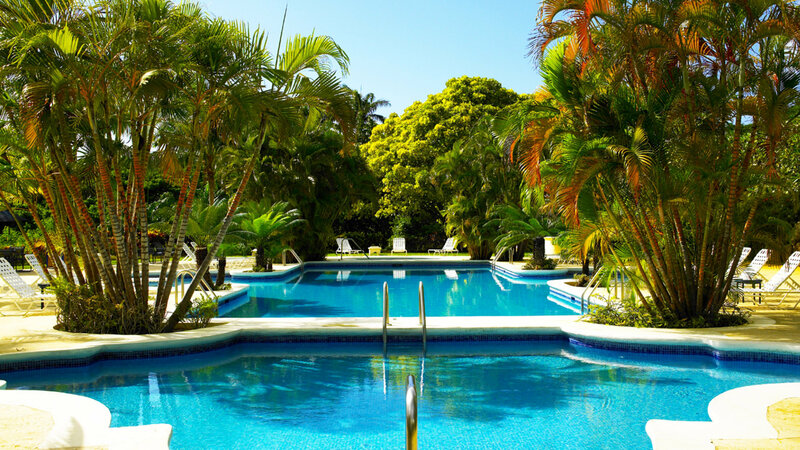 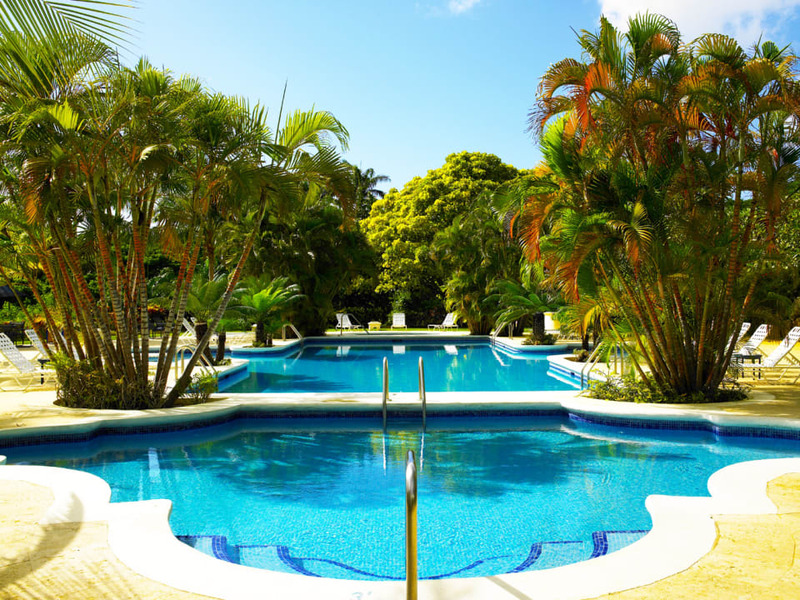 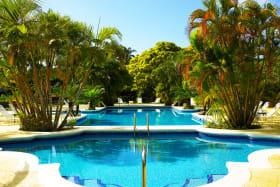 Royal Westmoreland enjoys 24-hour security and onsite amenities besides the Championship Golf Course include a gym, tennis courts, elegant club house with bar and restaurant, Sanctuary swimming pool and cafe as well as a beach club at Mullins Beach Bar a short drive away.